Sirus are agents for Smardt Chillers in Ireland. 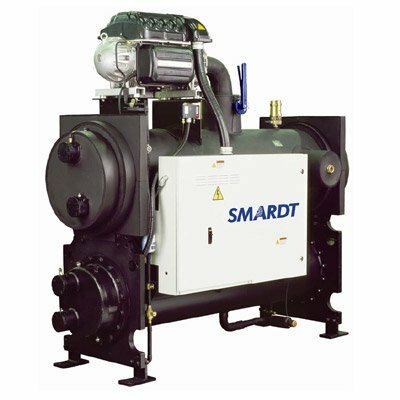 Smardt oil-free centrifugal compressors use magnetic bearings and variable-speed drive to deliver a quantum leap in IPLV efficiencies compared with conventional oil-lubricated centrifugal, reciprocating, scroll and screw compressors. Proprietary magnetic bearings replace conventional oil-lubricated bearings, eliminating high friction losses, mechanical wear and high-maintenance oil management systems to deliver chiller energy savings of 35 per cent and more over conventional chillers while ensuring long-term reliability. Turbocor’s one main moving part (rotor shaft and impellers) is levitated during rotation by a digitally controlled magnetic bearing system. Position sensors at each magnetic bearing provide real-time feedback to the bearing control system, 120 times each revolution, ensuring constantly centred rotation. 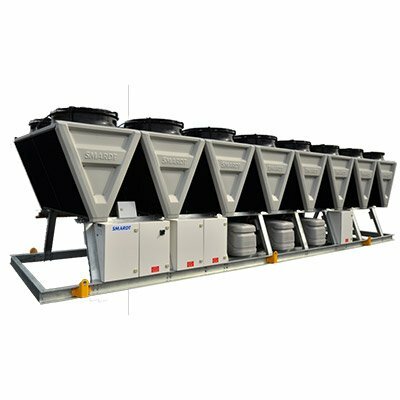 Smardt’s water-cooled chiller range – 200 kW through 4200 kW – is designed for a 30-year operating life, with lifetime operating costs the lowest in the market. 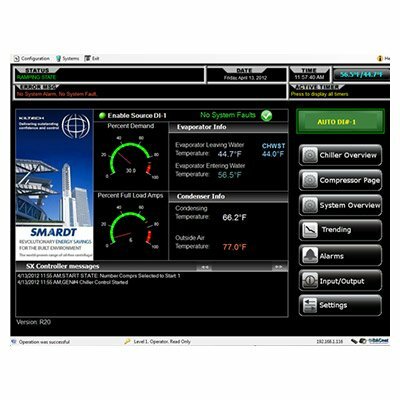 Smardt’s Kiltech controller is very user-friendly, highly intuitive and allows optimization of both single compressor operation and multiple compressor operation while enabling a rich array of communication options. Danfoss Turbocor compressors use advanced technology to deliver high efficiency and low sound levels in a compact footprint. Industry leading performance is achieved by using oil free, magnetic bearings that provide world class efficiency and zero performance degradation over the life of the compressor. Permanent magnet motors and variable speed drives provide unmatched full and part load efficiency.